Carbs can be your best friend or your worst enemy, depending on how you use them. Here are 6 benefits they provide to hard-training women! It's the trend that just won't die. Have a few conversations at a few parties, and you'll get an earful about how consuming carbs will inevitably lead to obesity, type 2 diabetes, double chins, and, ultimately, death. Carb phobia is even more pervasive among active women. This is a shame, because in my experience, active women have the least to gain by going low-carb—and the most to lose. Carbs also provide many benefits, particularly to those who train with intensity. The key is to know the difference between different types of carbs and when to consume them. Here are six reasons you shouldn't fear carbs, and my personal tips on what you should do to get the most from this maligned macronutrient. Intense training leads to immense gains. But you can't have a dance party without any dancers—and carbs are, without a doubt, the partiers of your body. They provide most of the energy you need to really dial it up, and without them, intensity quickly becomes misery. Cutting carbs too severely can leave you feeling lethargic, perhaps even miserable. Intense training leads to immense gains. But you can't have a dance party without any dancers—and carbs are, without a doubt, the partiers of your body. To have enough fuel to light up your workouts, I recommend drinking a shake with protein and powdered carbohydrates before or during your workouts. 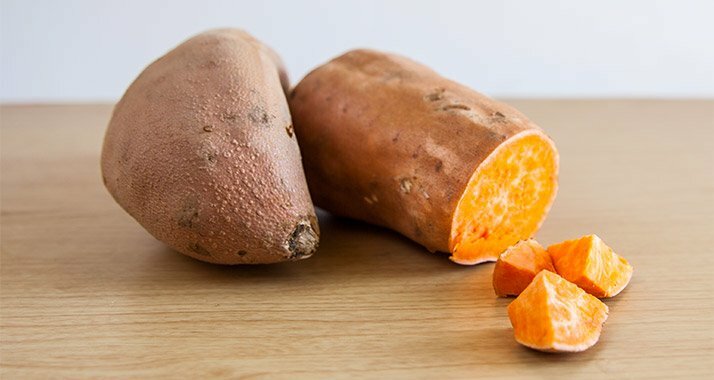 Another tried-and-true approach is to eat a small meal of carbs such as potatoes or yams an hour or so before training. However you get them, consuming carbs during this window will help power you to better workouts. One thing you may not know about protein is that it can be converted into blood glucose. I said "can be," not "should be." In fact, the last thing you want is for valuable protein to undergo this conversion because there aren't adequate carbs around. Sure, you might lose some weight, but much of it will be from a loss of muscle. You need to have a lot of muscle mass to make a long-term, low-carb diet worth the effort. The best way to prevent this from happening is to consume an adequate amount of carbohydrates each day. I recommend about 2 grams per pound of body weight when the goal is to maintain body weight or add muscle, and closer to 1 gram per pound when dieting. I usually eat the majority of my carbs at two times: around workouts and when I'm really hungry. When I'm hungry, I eat fibrous veggies in big servings. So unless you have a very good reason to do it, think twice. I have a rule about diet plans: If it recommends you cut out all carbs, including vegetables, don't follow it—ever! While most versions of what people call the paleo diet includes fibrous vegetables, other diets recommend cutting even highly nutritious carbohydrates. Even if you're not cutting them out entirely, you're often limiting them or weighing them out using complicated ratios. Limiting fibrous veggies is for the birds! Aside from being filling, these are among the best sources of many vitamins and minerals. Your body needs these micronutrients to fight free radicals, the damaging chemicals caused by stressors such as intense training. Your sweat carries away vital minerals such as calcium, magnesium, zinc, and potassium when you work out, all of which are needed for growth, recovery, exercise performance, and overall health. Regardless of whether your current goal is building muscle mass or losing fat, you need fiber—and plenty of it. Fiber not only helps improve overall health, it also fills your stomach (and your toilet) and provides satiety between meals. It's crucial for building and maintaining a healthy environment in your gut, as well—all of those healthy microbes eat fiber, too! While you can take fiber supplements, they're not a suitable replacement for the fiber you get from whole foods. In addition to fruits and vegetables, eat enough root vegetables, beans and legumes, and nuts and seeds. This is non-negotiable! So you consumed enough carbs that you felt great going into your workout. Long story short, you crushed it—and now you feel crushed! This is when more carbs can help you. Insulin gets a bad rap these days, but the truth is that at certain times, it definitely has its uses. For instance, post-workout, the insulin that gets released in response to the carbs you eat acts as an anabolic hormone, helping to drive protein to muscle tissue for better growth and faster recovery. This is why bodybuilders often consume sugar after they work out. You don't have to go that far, but you should definitely refill your carb tank with glycogen—the form of sugar your body stores up for energy—after depleting it through hard training. After all, you still have to make it through the rest of your day and to your next workout! This is news to nobody! Aside from what they do for us, carbs are popular because we all love to eat them. Women who train intensely often underestimate this aspect of carb consumption. We often cut carbs too drastically because we love being disciplined in our approach, but we end up feeling awful. Our bodies need to feel good to maximize growth and performance. This isn't about being miserable! Of course we've all experienced that tasty, regretful evening with Ben, Jerry, and all of their delicious mixed-in friends. Have they helped expand waistlines across the world? Of course! But newsflash: This isn't the only way to get your carbs. Consume enough carbs every day to feel good and fuel your body to smash your goals, and it'll be easier to resist the lure of the freezer case! That's a win any way you slice it. Learn more about Pauline Nordin and Fighter Diet!